Part of aging well is engaging in new life experiences—and traveling is a great way to see new things and to improve physical wellness. 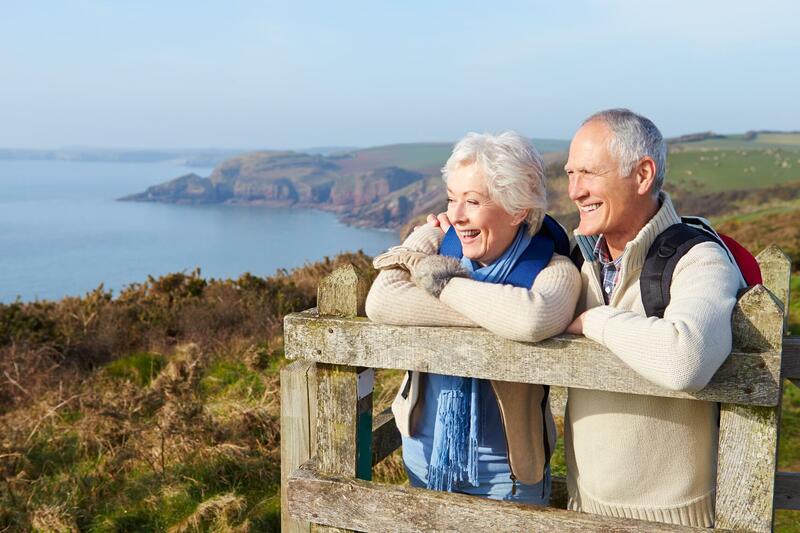 A 2013 survey, produced by the Global Coalition on Aging and Transamerica Center for Retirement Studies, found that more than 70 percent of retired and working Americans believe taking trips is mentally stimulating. More than 75 percent believe they saw an improvement in their physical well-being and stress level, and 86 percent said they felt a boost in their mood and overall outlook on life after traveling. Whether it’s a day trip or an overseas adventure, you can reap the benefits of packing up and heading out. A strong bond can form between people when they travel. In the past, Royal Oaks residents have traveled alongside residents from White Sands La Jolla and Regents Point. Bridging the travel programs between the three HumanGood communities has resulted in unexpected reunions for some residents. Several seniors have reconnected with former college classmates and others with old neighbors. It’s such a small world! And that’s the point of our travel program: to provide our residents with a chance to engage in a way they may not have connected on their own. At Royal Oaks alone, many have developed deep friendships by spending time together outside of structured activities. Putting together interesting trips for residents in senior living was one of my biggest and most enjoyable tasks as a former resident program director (I am now the associate director of philanthropy for the HumanGood Foundation). In addition to far-flung places like Tahiti, I helped organize trips for residents to visit California Wine Country, a quicker trip from our community in Bradbury, California. We’ve also taken monthly day trips to discover Los Angeles’ famed museums, theaters, botanical gardens and the beaches, where we had an ocean-view luncheon. Many residents find our day trips to be the most invigorating activities, and most of the trips we take originate through their suggestions. These trips are an important element of our program because they help residents make new friends and provide them with the chance to experience new adventures. A 2017 AARP study found that 38 percent of baby boomers have a travel bucket list. Of the top eight destinations they’re eager to visit, half are domestic and half are international. So, what’s on the list?